Roger Federer says he'll be back at Wimbledon next summer chasing a ninth career title after a shock quarter-final exit at the hands of Kevin Anderson. The Swiss appeared to be in cruise control when he brushed Anderson aside to take the first two sets, but the South African survived a match point in the third and mounted an inspired comeback, eventually winning a thriller 13-11 in the fifth set. It was only the second time Federer had let a two-set lead slip at Wimbledon during his 19-year career at the All-England Club. It motivates me to do extremely well here because I don't want to sit here and explain my loss. The defending champion hadn't dropped a set this year prior to facing Anderson and he says he was feeling confident. "I felt great in practice, good in the warm-up. I'm feeling the ball well," the Swiss said. "It just happened to be that [it] wasn't the day." "It's disappointing losing the next two sets after winning the first two and having match points. "I didn't feel mental fatigue. Now I feel horribly fatigued and just awful." 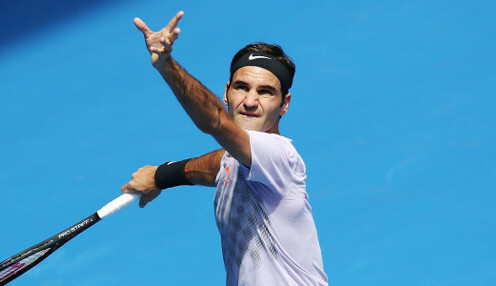 A 20-time Grand Slam champion, Federer had equalled his own record of winning 34 consecutive sets at SW19 by taking the first two against Anderson, though it was to be an ominous sign when he failed to make it 35. The 36-year-old is already planning for next year, and explaining away defeat isn't on the agenda. Anderson is 7/2 to defeat John Isner in straight sets in their semi-final on Friday, with the American 4/5 to win the match meanwhile. Rafael Nadal takes on Novak Djokovic in the other last-four clash and the world number one is 4/5 to win.